Tethered spinal cords are a group of complicated developmental malformations of the spinal cord. These are benign conditions but as with the spina bifida children, can cause terrible consequences if not treated. There is some overlapping of the naming of these conditions and some of them are cases of closed spina bifida. The various forms include such conditions as: tight filum terminale, lipomeningomyelocele, split cord malformations, dermal sinus tracts , dermoids, and cystoceles. In general, what all of these conditions have in common is a pulling on the spinal cord at the base of the spinal canal. As children grow, their spinal cords do not grow as quickly as there spinal columns so relatively the spinal cord must be able to freely ascend on the inside of the spinal column during growth. If various abnormal structures are holding onto the spinal cord from below it stretches the spinal cord and this can lead to progressive loss of function. Usually children will complain of pain, if they are old enough or may show some signs of discomfort. As things progress they fail to gain or lose function of the legs, bowel or bladder. Luckily most of the conditions are picked up early due to unusual signs in the middle of their lower backs. These include fatty masses, areas of increased pigmentation, dimples or large collections of hair. When noticed these skin signs should prompt an investigation which usually includes an MRI scan. During infancy an ultrasound may be adequate to identify one of these conditions. Not to confuse things, it should be understood that if there is a problem in one site of the spinal cord, then there may be other problems such as syrinxes. For this reason it is a good idea to image the entire spinal cord and potentially the brain prior to treatment. 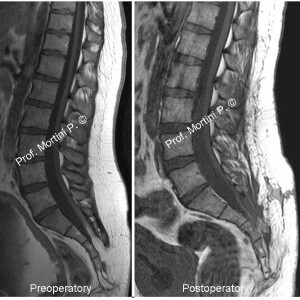 In general, most pediatric neurosurgeons recommend these conditions be operated on to pr otect the growing spinal cord. For the child that has reached adult height with minimal if any symptoms, some neurosurgeons would advocate careful observation only. The operation is tailored to the cause of the tethering. In general the spinal column is o pened from behind to expose the extent of the sites of tethering of the spinal cord. 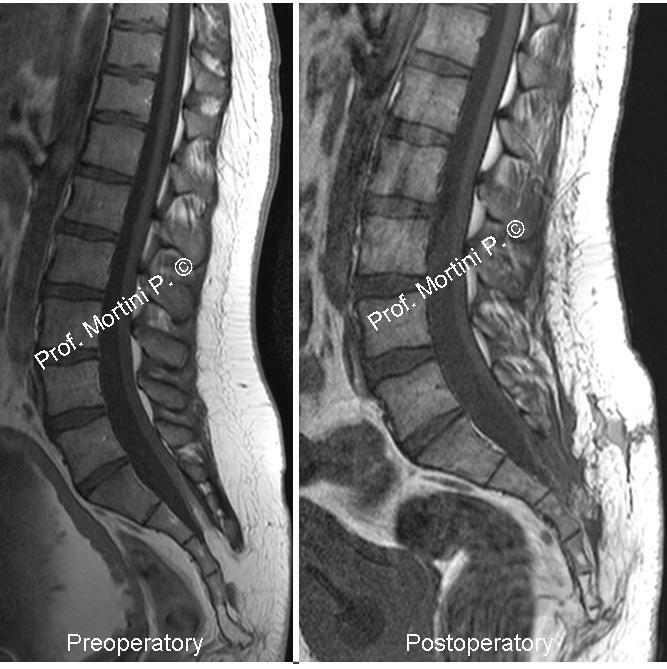 Often neurosurgeons will have neurophysiologists monitor spinal cord and nerve function during the delicate operation to minimize risk to these structures. The great majority of children tolerate the surgery well and most improve or at least stabilize with regards to their level of function. There is a potential for the spinal cord to retether as the child gets older and for this reason it is im portant that they be carefully monitored.